Professional translation service for documents. We can translate your document into over 140 languages. Contact us today for a quote. Translations are frequently requested when presenting legalised documents overseas. All of our translations are completed by native speakers with an understanding of the content of your document. We also ensure the correct dialect is used! We used a large network of professional translators which helps to maintain our high standard of service with all of the documents we translate. If you need the document to be certified we will present the document to one of the many local solicitors we work with. 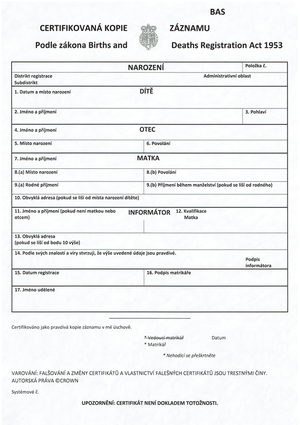 The document is translated by a professional translator. 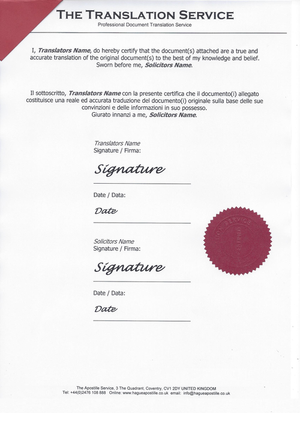 The translation is declared to be true and accurate and certified by a solicitor.